This summer, demand is high for single-family homes in outstanding school districts. NEW YORK ( TheStreet) -- In 1993, David and Joy DeSanto moved from Manhattan to the expensive suburb of Westchester county. Like many couples with young children, they chose to live in a town with highly rated public schools. Almost 20 years later -- with one daughter already on her own, and another in college -- the DeSantos are just about ready to sell their home and free up some cash. They pay about $14,000 a year in property taxes for their three-bedroom, one-and-a-half bath home in Larchmont, N.Y. The couple is now thinking of moving back to the city and living in a one-bedroom apartment. "It just doesn't make sense to still be spending all that money in taxes," says Joy. "Sure, I would miss the space and my beautiful patio, but we would save so much money by not having to pay for such things as lawn maintenance, car insurance and heating oil." So what else is stopping them from calling their broker and getting the process started? The DeSantos think they could get a lot more money for the house if they wait a few more years. "If we could get an offer now for $700,000, we'll gladly sell. I just don't think we're there yet," says Joy. Zillow ( Z - Get Report), an online real estate information site, values their home at $698,200, but similar homes in the area have sold recently for under $600,000. Paul Anastos, president of Mortgage Master, thinks the DeSantos could be missing out on a great opportunity by waiting it out. "If your children are off to college and you happen to be in a much sought after location or a good school district, you may want to consider selling now. You'll get a lot of bang for your buck," Anastos says. With mortgage rates of all types at or near their lowest levels in history, Anastos says he is seeing competitive bids -- three or four offers for a single property -- and houses being bought at the full asking price. According to Zillow, the 30-year fixed-rate mortgage has an interest rate near 3.5%, while the 15-year fixed-rate mortgage has a rate less than 2.9%, each for the most highly qualified borrowers. Joshua Baris, a real estate agent in Northern New Jersey, says he is already seeing heightened buying and selling this summer in Tenafly, Ridgewood and Wycoff, which are also known for their outstanding school districts. "New families and couples looking to start a family are all looking for good schools," says Baris. "They want to purchase homes in these towns now while rates are at an all-time low and they want to get settled before school starts in the fall." In many cases, avoiding exorbitant property taxes is the motivation for older families to sell. A couple living in a three-bedroom, two-bath home in Tenafly, N.J., for example, could save more than $10,000 per year in property taxes by moving to a one-bedroom condo in Edgewater, N.J. But there are other good reasons for putting your house in the market after your kids graduate from high school. Some sell to help pay for college tuition, while others sell to put more money toward retirement. "Whatever your motivation is for selling, it's important to act fast," says Baris. "There is so much buying power now and you wouldn't want to pass up on this opportunity -- on hopes that your home's value would be much higher five years from now." 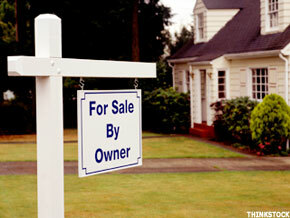 Anastos warns that although mortgage rates are lower than ever, they will not last forever. He expects rates to begin to rise within the next 12 months. -- Written by Marilen Cawad in New York. >To contact the writer of this article, click here: Marilen Cawad. >To follow the writer on Twitter, go to http://twitter.com/marilencawad.